Late last year, I talked about a Brenda Anvari candle that I’d been burning, it was full of spice and citrus and all those wonderful Christmassy things that we get heartily sick of by January. Well, I’m back with another product from her Persian Rose range of scented bodycare products. 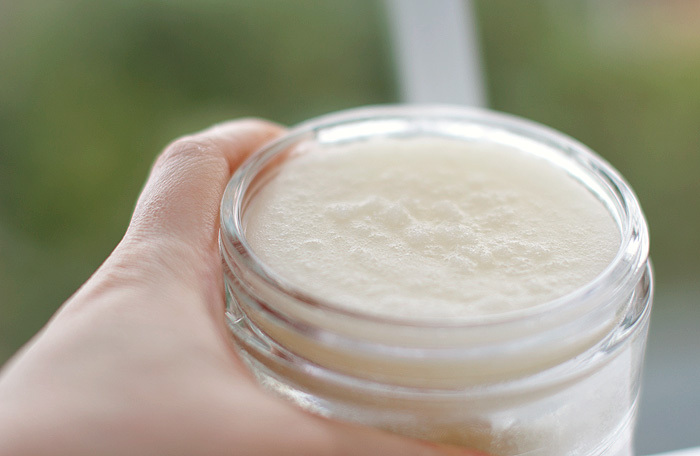 Last weekend, I scraped the last few grains from the jar of Persian Rose Body Scrub* and howled a gentle “nooooooooooo” into the air as I replaced the lid. You see, it’s a really freakin’ beautiful scent. The rose isn’t the most complex of fragrances, I think of it as pretty universal – it’s kinda safe, being both inoffensive and rather lovely. Brenda has taken the classic rose and whipped it into a headier form. Persian Rose takes on a dirtier, naughtier vibe with altogether more earthy qualities. What I’m saying is, there are two types of people in this world. Those who like the thought of walking in to find a scattering of rose petals on their bed, and those who like the thought of being physically whipped with a rose, thorns and all. I’ve always hated the thought of waking up with a rose petal stuck up my nose. You know? I also like a good scrub. And this is a good scrub. It’s got just the right amount of grrrr going on, it rasps a little at the skin and feels like it’s working some proper skin-smoothing magic. But if all that sounds a little too intense for you wimps, don’t worry because the salt granules sit in a base of beautifully-scented Persian Rose-infused oil that ultimately leaves your skin feeling nourished and kissably-smooth. I haven’t mentioned the body moisturiser* or the bath oil*, because… well… they’re ok. There’s nothing about them that makes me not want to recommend them, they make great flankers for layering the scent but there’s nothing that screams “buy me above everything else available on the market” either. It’s a tough world out there. 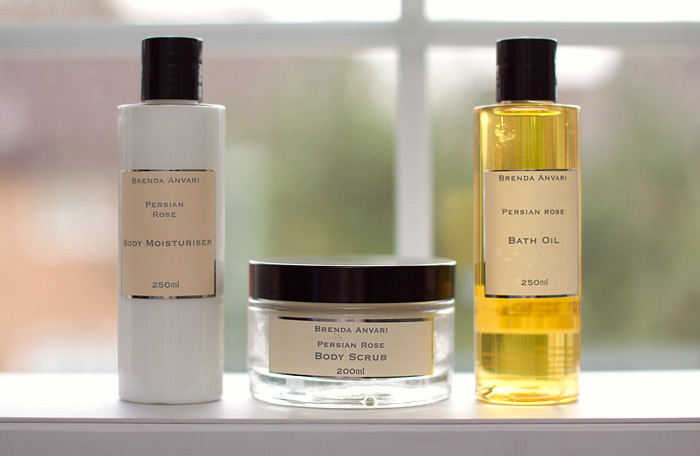 If the thought of Persian Rose doesn’t float your boat, other scents available from the Brenda Anvari bodycare range include: Ylang Ylang, Sandalwood & Black Pepper, Lime, Mandarin & Grapefruit, Orange Blossom, and Pomegranate, Raspberry & Patchouli. Prices start from £8.95 and you can shop online. What bath-time scents are you loving at the moment? Might have to give this one a go as my current scrub is not doing the job for the old winter skin that is still looming. Tempted by the rasberry. I am loving the scent of my Heathcote & Ivory Chamomile and Geranium lotion. It’s so light and lovely and reminds me of something that has a good assosciation in my memory but for the life of me I can’t remember what it is. Just gorgeous. You are SO my kinda girl 😀 and you’ve just made me want to buy the scrub! Damnit!